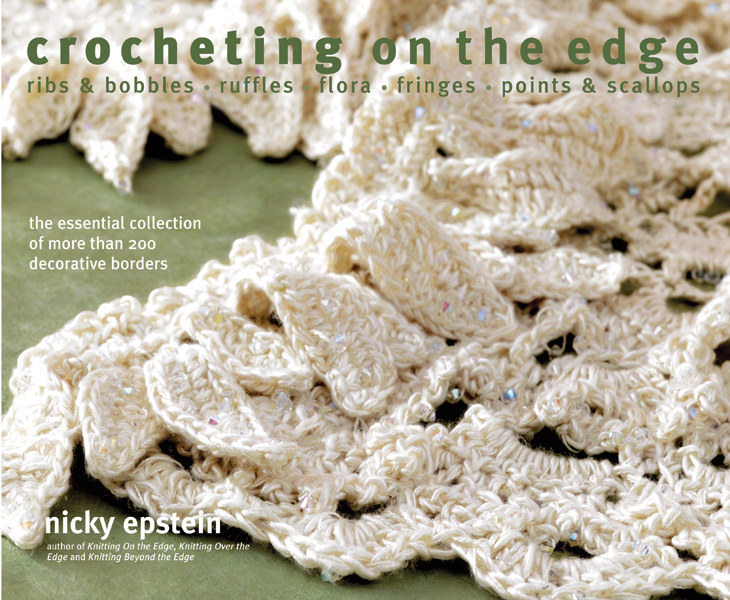 Crocheting on the Edge provides approximately 200 edgings and seven fabulous projects, including a blanket, a jacket, a shoulderette and a poncho. Nicky Epstein, today's foremost knitting designer, now gives crocheters the tools for adding fantastic embellishments to their projects. An addition to Nicky's fabulously successful Knitting On, Over and Beyond the Edge series, Crocheting on the Edge provides approximately 200 edgings and seven fabulous projects, including a blanket, a jacket, a shoulderette and a poncho. Detailed instructions, gorgeous photographs and stitch charts for every edging ensure that everyone will be able to crochet on the edge!